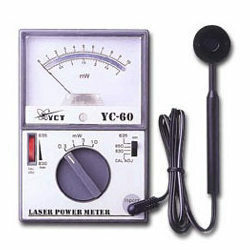 Pioneers in the industry, we offer laser range meter, digital planimeter, lcr meter, ultrasonic distance meter, milliohm meter and yc-60 laser power meter from India. large, illuminated four-line display. Easy to read and interpret! IP 54: protected against dust and water. Even the battery compartment! 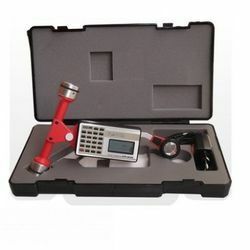 Maximum cumulative measurement value of 10m2:With the measurement by 6-digit pulse count, the N-Series Planimeter can measure a larger area by 100 times than ordinary Planimeter.The conventional planimeter has a maximum cumulative area to measure only 0.1m2. 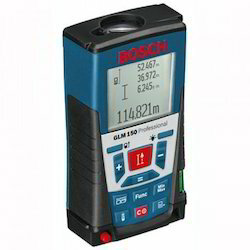 If measurement value shows over 0.1m2 when measuring, the display is to be reset to “O”.This requires to register the numbers of how many times these resettings are occurred.With the New PLACOM N-Series, there is no need of these troublesome procedures. Hold memory function:In cumulative measurement, this Hold Memory function is effectively used. If an error occurs in measuring, press C/AC key. Then last measured value is appeared by pulse count. Since previous measured values before error are stored, there is no need to another measurements from the beginning. Automatic shifting of unit to upper unit:When the measured area value overtlows the displayed figures of 8 digits, the measured area value is calculated and displayed by an upper unit. When the overflows is occurred in the uppermost unit, km2, acre, the measurement can be continued by pulse count display. Average value measurement: In order to get better result of measurement, Mean value measurement is recommended. 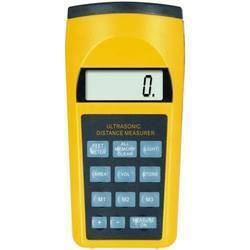 This measurement can be easily done on this N-Series. Measurement of an area with different lateral and longitudinal Scale. For technical details please be free to email us. 2) Dual display with backlight. 3) Wide LCR ranges with 2 to 4 selectable test frequencies. 4) Auto-calculation of phase angle, dissipation factor and quality factor. 5) Tolerance Mode: 1%, 5% , 10% and 20%. 7) Hold and Min/Max/Average recordings. For more details please be free to mail us. 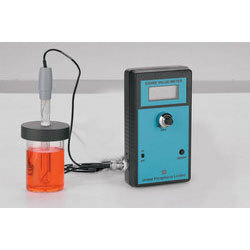 1) 4 terminal devices for accurate measurement of very low resistance. 2) Applicable for motor coil, transformer, PCB layout etc. 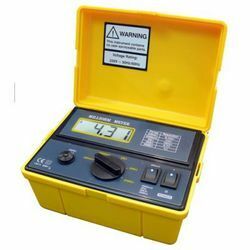 3) Ideal for testing protective conductors, lightning conductors and welded points. 4) Wide measuring range, 0.1mohm ~ 2000mohm. 5) Durable & portable housing case. - Display: 18 mm (0.7") LCD, Max. indication 1999. - Range: 200 m ohm, 2,000 m ohm, 20 ohm, 200 ohm, 2000 ohm. - Zero Adjustment: External adjustment for zero value of thedisplay. Adjusting range approx. 100 counts. 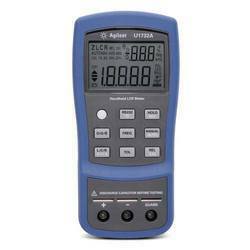 - Input Terminal: 4 terminal input, accurate for low ohmsmeasuring. - Over input Indication: Indication of "1". - Sampling Time: Approx. 0.4 sec. - Operating Temp. : 0 to 50 DegreeC ( 32to 122 DegreeF ). - Operating Humidity: Less than 80 % R.H..
- Power Supply: AC 110V 15%, 50/60 Hz or AC 220V/240V 15%, 50/60 Hz. - Power Consumption: Less than 2 VA.
- Dimension: 160 x 120 x 85 mm, with housing front cover. - Weight: Approx. 680 g (1.5 LB). Three ranges of the selectable wavelength and one adjustable wavelength’s range. 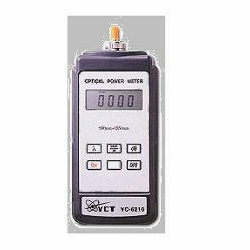 Measurement applicable for DVD ROM, CD ROM, Laser disc, Special laser disc, Laser pointer, Bar code reader. Adjustment of beam power position: 0.3mW, 1mW, 3mW, 5mW. Photo sensor head dimension: D23.5 x L120.5, Wire Length: 1 M.
Accuracy : 1mW / 5mW +/-5%, 0.3mW / 3mW +/-10%. Beam power measure range: 0.1mW~ 5mW. Beam wave length measure range: 635nm ~ 830 nm. Opeartion temperature & humidity: 0°C~40°C, below 80% RH. Storage temperature & humidity: -10°C~60°C, below 70% RH. For more details please be free to email us. To accommodate the high demand of optical fiber cables with fiber optic networks, communications and transmissions. 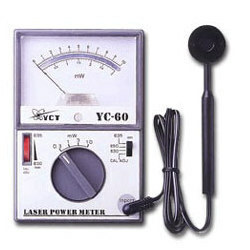 Yu Ching has developed a meter that measures the power during the process of fiber optic transmission, and to allow users to conduct attenuation and amplification of output/input signals or other calculations. It uses InGaAs photodiode with broad and flat response curve. Features Use of InGaAs: photodiode. Low battery indicator. Automatic power switch off function. 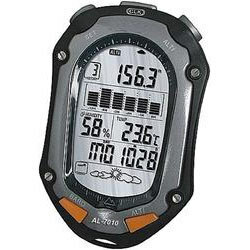 Looking for Digital Metres ?